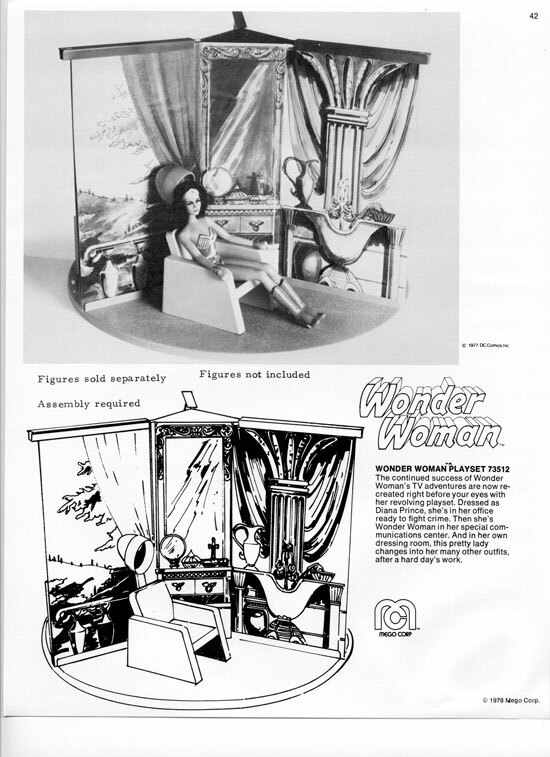 Mego attempted on two separate occasions to produce a Wonder Woman Playset, below is from the 1978 Catalog. 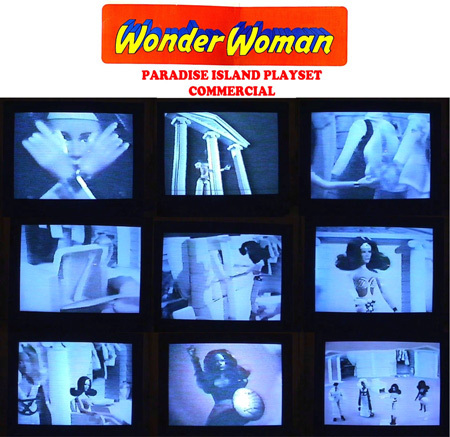 From the Mego Repro Art Book, yet another concept unrealized for a Mego Paradise Island Playset. Such a missed opportunity (Scan courtesy Mike J). Here are some screen caps from the unaired Mego commercial, showing a more one dimensional playset. As demonstrated Wonder Woman could wreck the joint if need be.